If you are one of those car enthusiasts who tirelessly search the second hand market to get that dream car more affordable than it cost new, I’m sorry but here you have nothing to do. 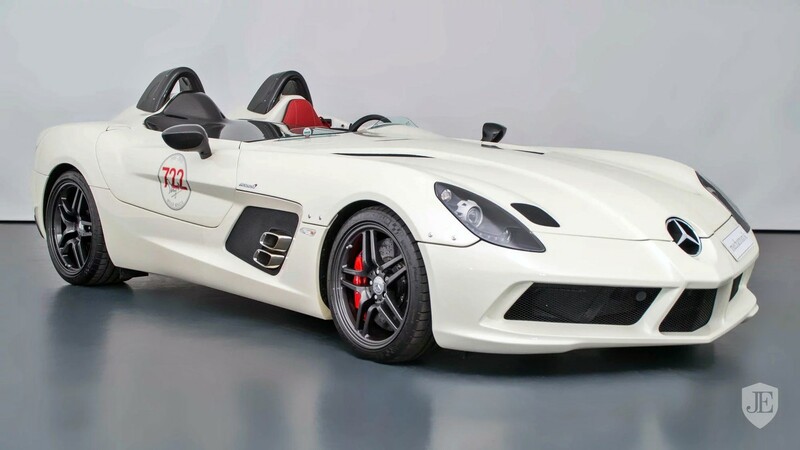 The Mercedes-Benz SLR McLaren Stirling Moss for sale that we are going to talk about today is not only cheaper than when it was launched on the market almost a decade ago, but has also multiplied its price. And it is logical. In 2009 was born one of the most exclusive cars ever manufactured by the German star brand. The Mercedes-Benz SLR McLaren Stirling Moss was presented as a very limited series, a very special SLR manufactured by McLaren in an alliance that resulted in 75 copies of one of the most spectacular machines in the world. Based on the Mercedes-Benz SLR McLaren was created an even more exotic version designed to pay tribute to the legendary British Formula 1 driver. Inside its body in configuration speedster (no windshield or roof, only a few small baffles) is housed a 5.4-liter V8 engine supercharged with rear-wheel drive and automatic transmission. His figures are overwhelming and willing to thrill in the open with 650 hp maximum power and 820 Nm of torque with which can be launched from 0 to 100 km / h in 3.5 seconds and reach a top speed of 350 km / h . We repeat: without windshield. Now, this white unit with 4,100 km on its odometer has been put on sale through JamesEdition for a price of 2.95 million dollars. A huge figure for a car that at the time it was put on sale in 2009 cost around 750,000 dollars. I think we will agree that it is a car for and for collectors, but would you pay almost 3 million dollars for it? After all it has multiplied by four its value in less than 10 years.